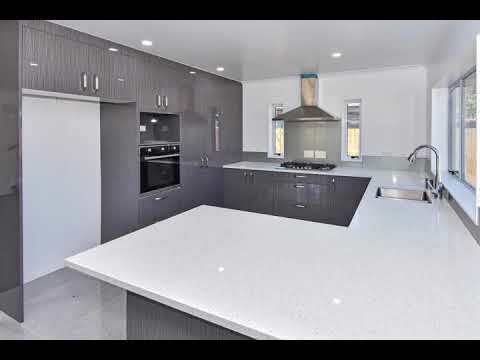 If you are looking for your new home in a great handy location, then you don’t want to miss out on our brand new five bedroom home for sale in Papatoetoe. Downstairs you have the main living area – open plan dining, lounge and kitchen. Great indoor/outdoor flow through the range slider to the low maintenance garden. The ensuite bedroom is located downstairs, private and ideal for guests or teenagers. Upstairs there are four bedrooms including the master bedroom with ensuite and walk in wardrobe. You will like the second lounge upstairs. Exclusive front yard provides plenty of off-street parking. Centrally located with Manukau Super Centre just a short drive away and Westfield Manukau also minutes away. Easy access to both the Southern and South Western motorways makes commuting to the city a breeze. Public transport is also close by with both the train station and bus stops within walking distance.